On Veterans Day, November 11, 2000 soil from the homes of World War II veterans, will be spread at the goundbreaking of the World War Menorial in Washington D.C.. A vial of soil was sent in honer of Kenneth P. Burrell TEC 5, of Sheffied Village, Ohio. The soil was gathered from the Burrell Farmroad in the French Creek Park, and his grave in the Historic Garfield Cemetery, in Sheffield. The soil was delivered to North Olmsted High School in North Olmsted, Ohio. From there it will be sent to Washington D.C.. Kenneth Burrell was born on December 4th, 1901 at the Burrell Homestead on East River Road, Sheffield. He went to school at the schoolhouse which was across East River Road. After that he went to work for U.S. Steel, Lorain Works, which is across the Black River form the Burrell Homestaed. During World War II, he answerd the call for men to fight for freddom for the world. He served in Europe and had the rank of TEC 5. After the war, he went back to work for the stell mill, and farmed the land. He retired from the steel mill in 1966, and continued to work the land. While on vacation in New Orleans, on December 12, 1976 he passed away. He was brought home, and laid to rest in the Garfield Cemetary, next to his brothers, Edward G. (1897-1970), Dwight (1898-1964), and sister Virgina H. (1904-1976). 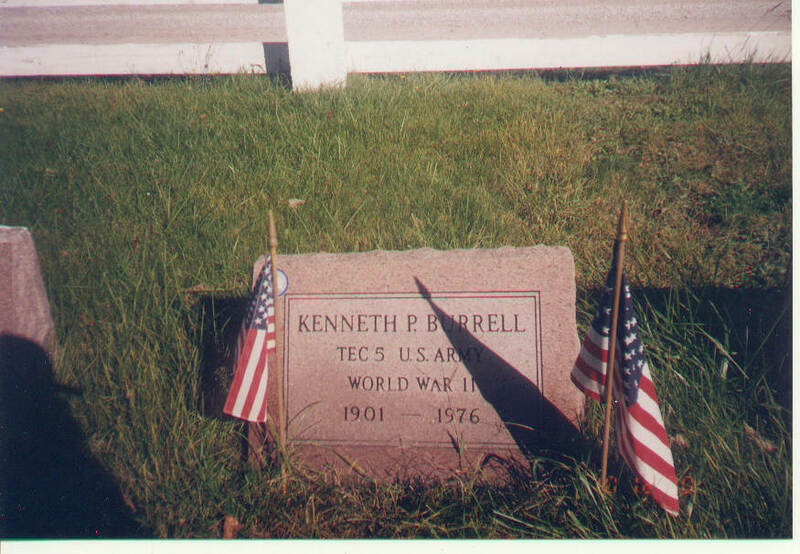 The top picture is of the grave of Kenneth P. Burrell. It is located in the Historic Garfield Cemetery in Sheffield Village. 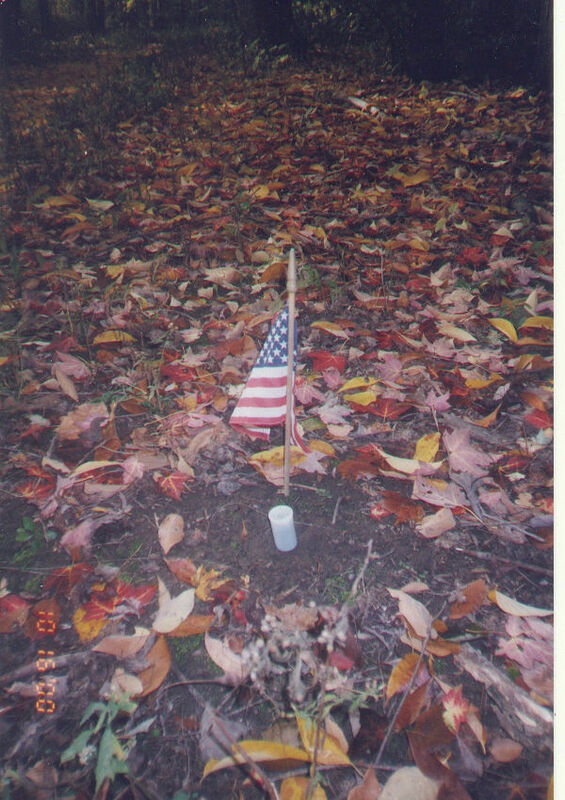 The lower picture is of th soil vail, and a flag fom the grave. The soil was gathered from the old Burrell farm road in the French Creek Park, and from Kenneth Burrell's grave. Sheffield Home Page: The Home Page of the Sheffield Preservation Project.